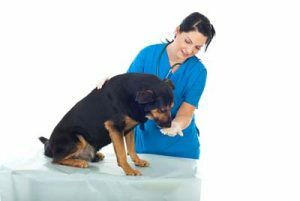 The U.S. Food and Drug Administration has approved for sale Bayer Animal Health’s Baytril Soft Chewable Tablets, based on a soft-chew formulation by Piedmont Animal Health, as a new option for administering enrofloxacin to cats and dogs. The antibiotic has been used for 30 years in tablet form to treat bacteria that cause skin, urinary, respiratory, and other infections. Piedmont’s soft chew uses meat-free cubes made without water, heat, or an extrusion process so they can be stably infused with active pharmaceutical ingredients. Bayer also uses Piedmont’s soft chew for Advantus canine oral flea medicine and Quellin canine pain reliever and anti-inflammatory. Claro, a single-application treatment for canine otitis externa, gives Bayer four FDA-approved products in the last five years. Piedmont said it will gain FDA approval for 10 or more products in the next five years.